Hi ya'll. Hope the Holiday season has been kind to you. Back in May I was in Vegas and took some photos with some friends at the Flamingo. The Flamingo waterfall in the wildlife habitat was the first one I ever painted. Recently, it seems that I have entered my waterfall phase. Here's a couple of them. BLACK AND WHITE LANDSCAPE WATERFALL, WITH HINTS OF COLOR. 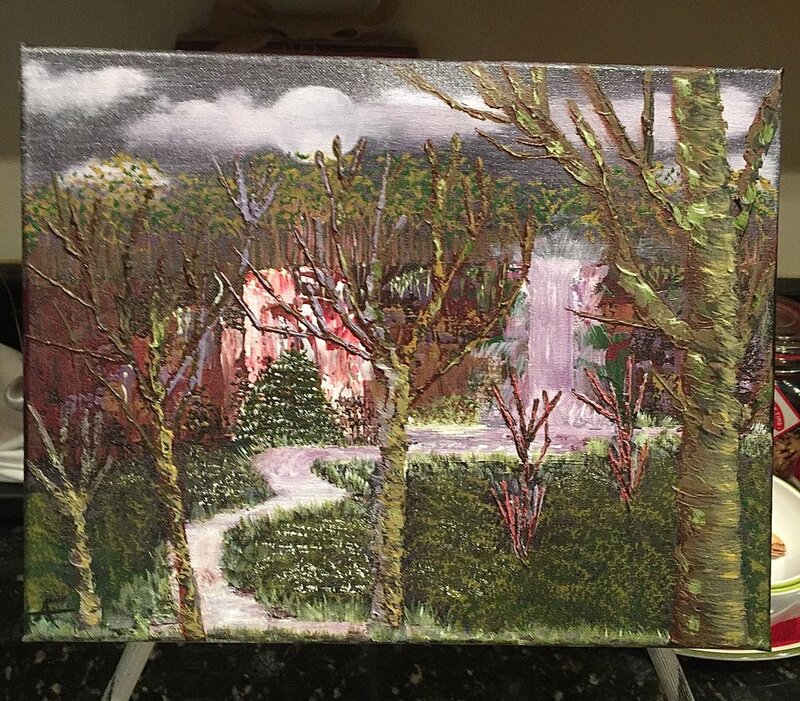 I used the paint knife for the trees as well as the rock/stone wall. I really enjoy using the paint knife. It really is incredible what you can do with it. So long everyone. Merry Christmas from your Uncle Alfresco!